When Houston headache specialist Randolph W. Evans, MD, consulted on an emergency patient, his first telephone request for an urgent MRI was denied by the patient's insurance company. After waiting on hold for a long while, he finally reached an insurance doctor who refused to reveal his specialty. “He told me that he was a licensed physician and that his specialty was irrelevant,” said Dr. Evans. Almost all of us in practice have experienced similar frustrations in seeking approval for tests. As the pre-certification process becomes more commonplace, and with more insurers outsourcing this task to radiology utilization companies, we are increasingly asked to justify our orders. While insurers view this as a cost-cutting measure, for neurologists, the requirement places an inordinate administrative burden on both staff and physician time. So how can the process be streamlined and what are our options when tests are denied? For starters, having the right information on that first call is key, according to American Imaging Management (AIM), an Illinois-based utilization management company responsible for 21 different insurers covering approximately 20 million members. AIM Chief Medical Officer Maureen White, MD, said that pre-authorization times are often lengthy because the physician's office is unable to provide relevant information on the patient's medical history, basic demographic data, or even the body part for the requested modality. Since office staff place nearly all first calls, it is important to supply them with responses to commonly asked questions, including how acute the problem is and any history of conservative treatment. Guidelines are generally available online for physician review. Knowing in advance which criteria are appropriate for the study will allow the staff to provide the correct information expeditiously. 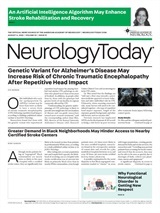 “AIM generally reviews its guidelines at least annually, but if the American Academy of Neurology or other major medical societies release new guidelines or position statements, the company will review and incorporate the updated recommendations,” said Dr. White. AIM also advises their client health plans of this information in monthly calls, a process that sometimes ends in a revision of medical policy. MedSolutions – a Tennessee-based radiology management company that provides utilization services for 15 million patients through commercial insurers such as Aetna, Cigna, and PacifiCare and government based health insurance programs – also posts guidelines for advanced imaging on its Web site, but they are password-protected and available exclusively to participating providers. Their panels of medical directors and outside consultants develop criteria and reference established specialty society guidelines. The company's criteria are then synced with each payer's medical coverage policies so that guidelines comply with the individual insurer. AIM's guidelines are almost uniformly used for commonly ordered procedures, but decisions for less standardized procedures such as PET or MR spectroscopy are often dictated by health plan medical policy statements. Aetna delegates the standard radiology authorization duties to different utilization management companies based on geographic region. “Reading the coverage policies on the Aetna Web site can help neurologists streamline the certification process,” said Robert M. Kropp, MD, Medical Director of the Southeast region for Aetna, Inc. Coverage policies take the guesswork out of the picture and make certification more transparent, pointed out Dr. Kropp. (The bulletin for MRI or CT of the spine, for example, describes 18 possible selection criteria including ‘progressively severe symptoms despite conservative management’) Dr. Kropp, a former practicing child neurologist, serves as the liaison between Aetna and the AAN, crafting policy that relies on input from the Academy. Aetna expects each of its utilization company vendors to comply with its coverage policy bulletins (www.aetna.com/cpb/cpb_menu.html), and these, in turn, are based on practice guidelines, explained Dr. Kropp. Because guidelines are often designed to avoid duplicate studies, Dr. Kropp proposes that neurologists pay close attention to the test being ordered. “First, I would ask doctors to consider the single most effective study for the condition of greatest concern,” Dr. Kropp advised. Gregg P. Allen, MD, CMO of MedSolutions said that it is helpful to select the “best first test” as opposed to ordering a battery of tests that can often cost thousands of dollars. In fact, MedSolutions tracks utilization profiles of ordering physicians and funnels results back to payers. They, like other management companies, want to identify outliers, or individual physicians and practices that contribute excessively to the cost of radiological services. Although MedSolutions does not currently use this information to flag physicians at the point of contact, it is being incorporated into the respective insurance company databases, according to Dr. Allen. This trend in economic profiling will likely play a role in current provider tiering designations and pay-for-performance initiatives. Even guidelines sometimes fail to meet a physician's assessment of medical necessity. Ironically, Dr. Toran's drafted headache guidelines for AIM cite as first reference a 1996 paper in Neurologic Clinics by Dr. Evans, whose difficulty in getting approval for MRI was mentioned earlier in this article. According to Dr. Allen, the MedSolutions MRI denial rate is 9–12 percent for neurologists and 25–30 percent for primary care physicians, and 40–45 percent of calls are resolved in the first call. Cases that do not meet medical necessity are referred to a medical director, and a decision is returned within 24 hours for 95% of requests. Denials and the rationale for the decisions are relayed to doctors' offices by telephone. MedSolutions offers the office an opportunity to talk to another staff physician, when possible, by specialty. MedSolutions has two neurologists who are staff medical directors. If concerns are not resolved, physicians may file for reconsideration supported by additional information. AIM's analysis reveals that 77 percent of neurologist requests are approved upon initial intake. Requests that cannot be approved at intake – because they don't meet criteria for the first review – are forwarded to a nurse, and an additional 10–15 percent are approved at that time, said Paul Danao, AIM Vice President of Strategic Services. The remaining requests go automatically into a physician queue, and most are resolved by discussions between the physicians. AIM provides a toll-free 800 number to expedite physician discussion at any time during the process, and also tries to match specialist to specialist. Although they cannot ensure that a neurologist will be able to take the call immediately, they do make sure that one returns the call. The impact rate – a combined measurement of cases that are denied, re-directed to another test, or end in physician withdrawal of the request – is 0.5 to 1 percent for neurologists. To prevent interruptions to workflow when pre-authorizations need to be performed, as well as free up telephone and staff time, MedSolutions offers authorizations via a Web portal; 8 percent of its authorization requests are done this way. In most cases, instead of providing all the patient demographics, only the member last name or ID number needs to be entered, and the screen automatically brings up the rest. This can be done 24/7 and can be scheduled to avoid disruptions during busy patient care times. While the entire process is completed in less than 4 minutes in 70 percent of the cases, authorizations transacted over the Web, on either the AIM site or carrier site, are even faster, says Dr. White. Neurology Today6(19):22-23, October 3, 2006.